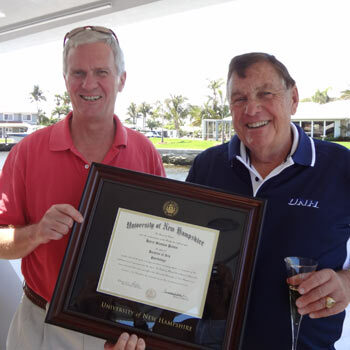 Harry S. Patten has an outstanding list of accomplishments and success stories that is due only to his hard work and perseverance throughout his adult life. However, he was only one semester shy of obtaining a Bachelor’s Degree from the University of New Hampshire (UNH) in 1958. Based on his life experiences, which were translated into course credits, the officials of UNH voted to award Harry his Bachelors of Arts degree from the University in 2012. University officials and the Board of Trustees all agreed that Harry’s life experiences exceeded the requirements needed for completing his dream of a college degree. 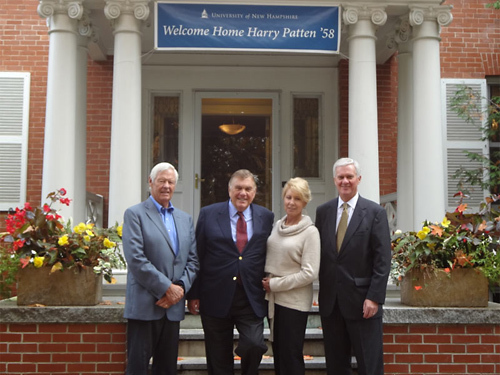 In 2013, Harry was invited to join the University of New Hampshire Foundation Board, which is the governing board for the University. 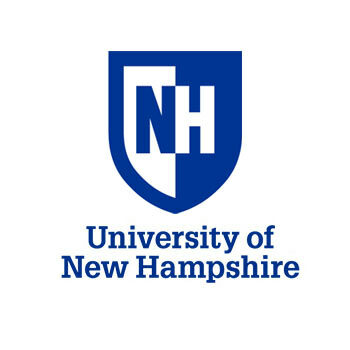 The UNH Foundation was established in 1989 to build private support for the University of New Hampshire. The energetic team of dedicated professionals works in concert with the University to strengthen programs, support deserving students, provide opportunities for the faculty, enhance facilities, and address other areas of need. Harry is proud to be a Wildcat supporter. In June 2016 the Patten Family Foundation made a grant to support the Peter T. Paul Entrepreneurship Center (ECenter) through the Wildcatalysts Network. The ECenter’s goal, as an independent entity, is to support ideas, innovation and entrepreneurship through co-curricular programming. The Foundation also made an additional gift to UNH to support the recruitment initiatives to bring in students from outside New Hampshire and to increase the University’s reputation in New Hampshire, the US and abroad. UNH President Mark Huddleston presenting Harry Patten with his diploma.